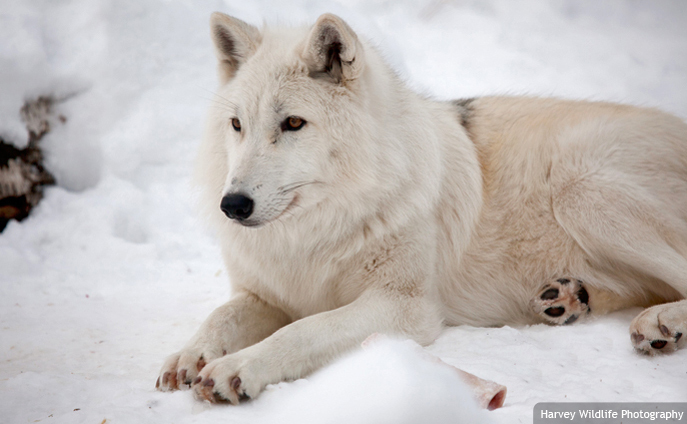 Arctic wolves are well adapted to survive subzero temperatures, up to five months of darkness and weeks without food. To blend in with their surroundings, they are usually white with gray or brown undertones. They hunt in packs, but only 10% of hunting attempts are successful. Major kills are supplemented with smaller prey. Permafrost prevents Arctic wolves from digging their own dens; natural outcroppings in the rock are used instead.